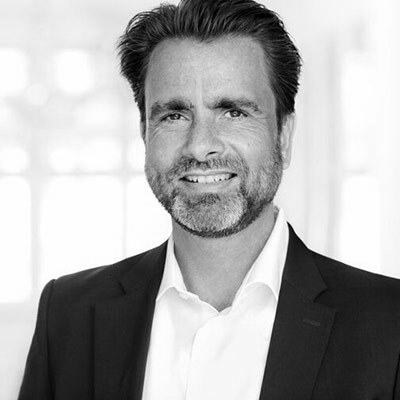 Michael Bütow heads Brand Man­age­ment, CI/CD and Brand Projects at Deutsche Bahn, and is in charge of the company’s brand iden­ti­ty. For the past 20 years he has held strate­gic and oper­a­tive mar­ket­ing posi­tions in a vari­ety of sec­tors, among oth­ers for Siemens and the mobile sec­tor. For more than 10 years he has held man­age­ment posi­tions at Deutsche Bahn, most recent­ly as Direc­tor Employ­er Brand­ing, respon­si­ble for the company’s HR-mar­ket­ing com­mu­ni­ca­tion. The Deutsche Bahn Group offers inter­na­tion­al mobil­i­ty and logis­tics ser­vices and oper­ates in over 130 coun­tries world­wide. Some 295,000 employ­ees, 193,000 of which are in Ger­many, are hard at work every day ensur­ing that cus­tomers are pro­vid­ed with mobil­i­ty and logis­ti­cal ser­vices and that the relat­ed rail, road, ocean and air traf­fic net­works are oper­at­ed and man­aged effi­cient­ly. Every day, the DB-Group’s Pas­sen­ger Trans­port Divi­sion car­ries over 10 mil­lion peo­ple on its trains and bus­es through­out Europe. The Trans­porta­tion and Logis­tics Divi­sion trans­ports some 412 mil­lion tonnes of goods by rail and some 96 mil­lion con­sign­ments by road in our Euro­pean net­work every year. Dur­ing the 2016 finan­cial year DB Group post­ed rev­enues of about € 40.6 bil­lion, and an EBIT of a good € 1.95 bil­lion.